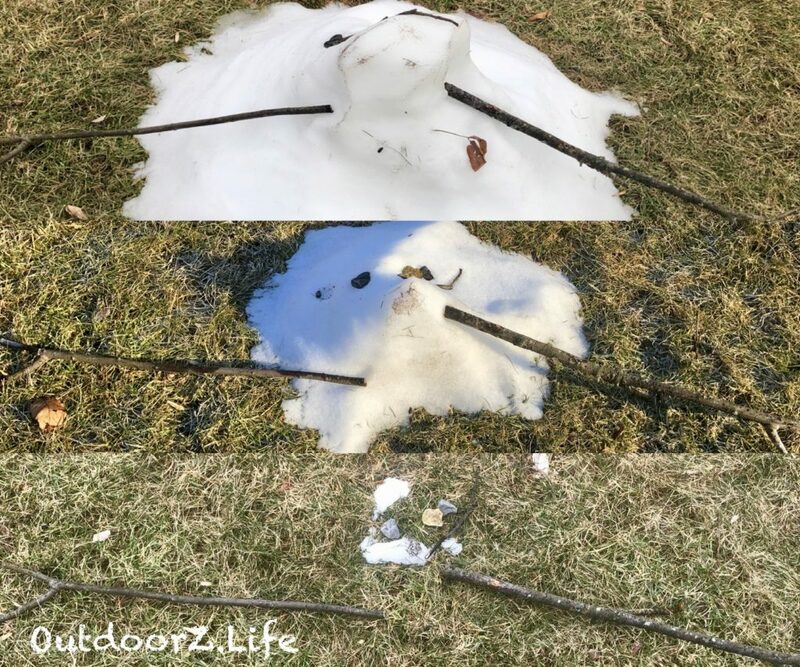 OutdoorZ.Life February 4, 2019 February 7, 2019 No Comments on Let’s build a snowman! 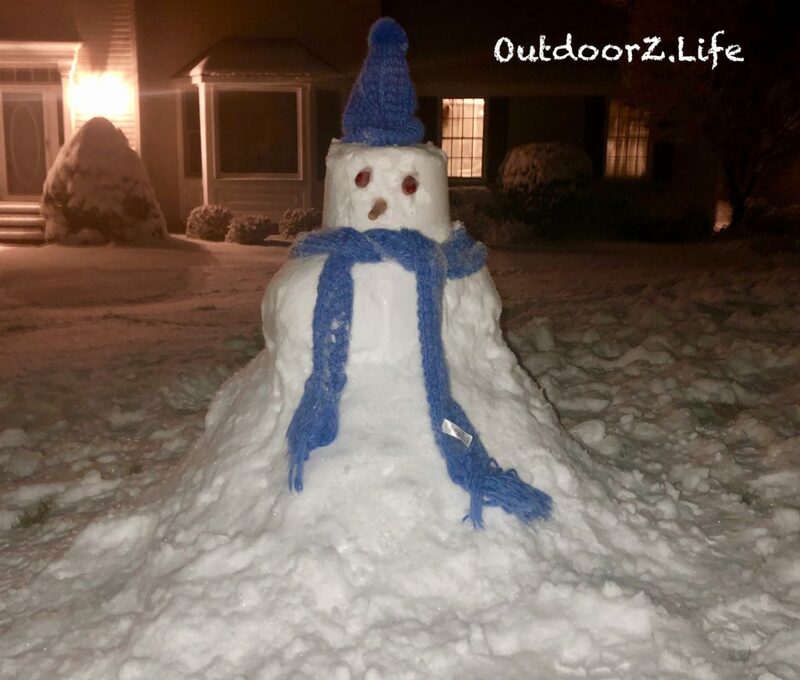 As the snow was tapering off one evening, my wife said to me, “let’s build a snowman!” Our latest snowfall only amounted to 4 or 5 inches on the ground. The snow wasn’t very packable and the resulting creation wasn’t our largest snowman. However, we played the cards that we were dealt and ended up with a masterpiece. In case you are unaware, every snow creation is a masterpiece! Once his body was created, we lent the small snowman a hat and scarf. His nose was formed from a trusty old carrot, and his eyes were made out of…red peppers (ok, I don’t have coal sitting around). I remember wondering if the carrot and peppers would survive the night. After rising out of bed the next morning and rushing to the window, I was happy to report that all was intact. Deer tracks crisscrossed the front yard, yet none of our late night, white-tailed visitors snacked on our snowman’s face! A few days later, my wife showed a picture of our snowman to a young child. After a big smile, he responded, “where are the sticks for arms?” It was also noted that “his eyes should be made from buttons.” Well, I liked the red pepper look, but I did add stick-arms a few days later. 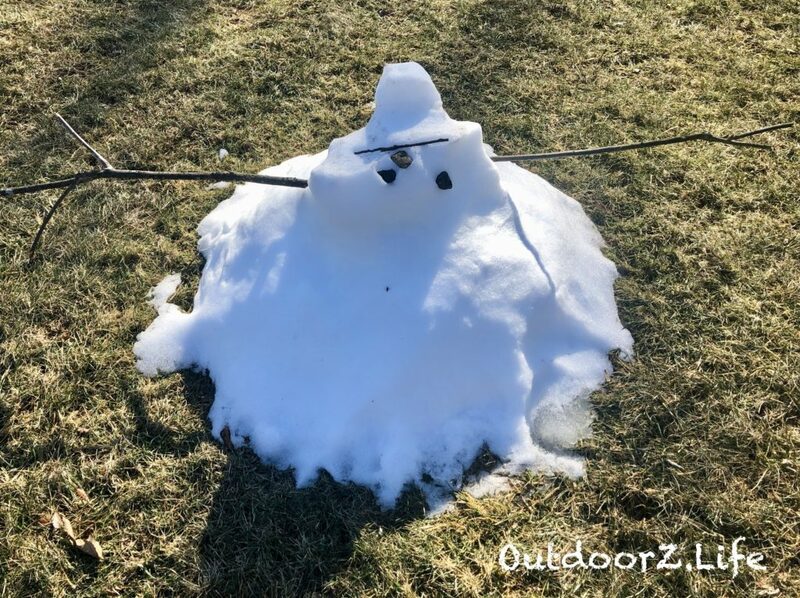 Temperatures have since turned from unusually low to unseasonably high, and our snowman is fading fast. 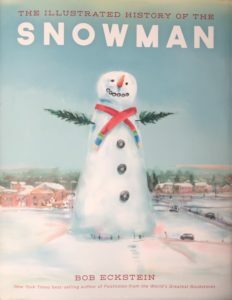 The peppers and carrot are gone, his hat and scarf are sagging, and as Frosty warned, our snowman is really making a “splash in the world.” Everyone, except maybe folks in Antarctica, knows that snowmen are temporary. 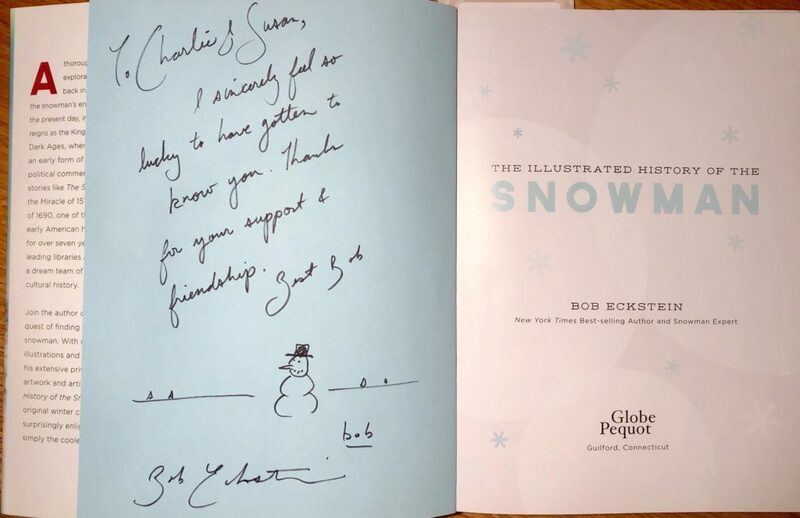 The only way to keep the magic alive is to plan for the next snowman (I have two ideas, and one involves a canoe) and to read Bob’s book. Enjoy the history and illustrations that Bob’s book offers…be sure to read it soon before winter fades away (or read it in the summer and plan next winter’s creations). Finally, don’t forget that you still have time to create magic in your own yard. Building a snowman is one way to spread joy in winter. And for those that find themselves longing for warmer months, just remember that spring is only a snowman or two away! UPDATE: Less than a week since the thermometer said -3 degrees (not counting windchill), the temperature hit a sunny 57 degrees today. 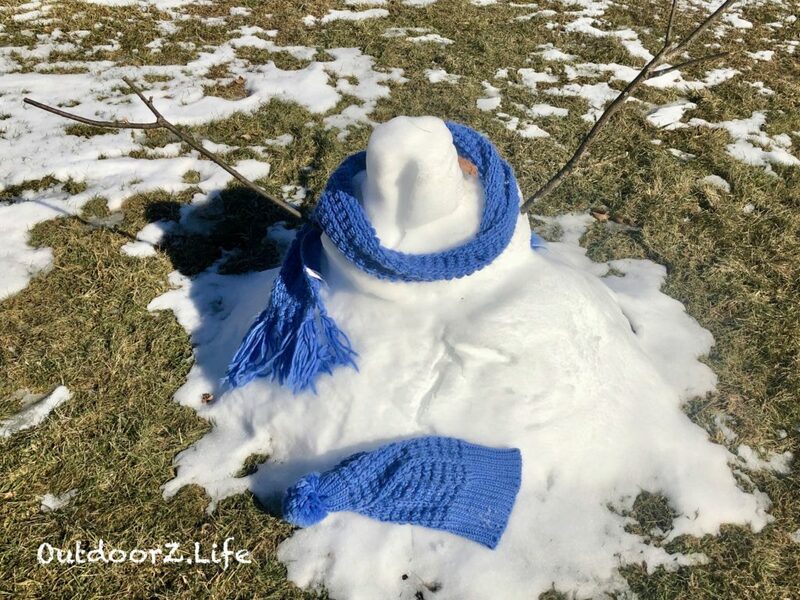 This heat is taking its toll on our snowman. 57 degrees and sunny is making for a meltdown. FINAL UPDATE: Another few warm days and rain…going, going, gone. Read more about Charlie Anderson.